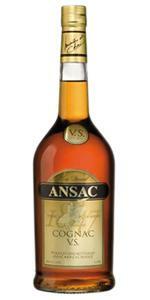 "All Cognac is brandy, but not all brandies are Cognac. Cognac is a brandy distilled from wines made of grapes grown within the legal limits of the Charente and Charente-Maritime regions of France. Ansac is made from grapes grown in the Petite Champagne region, one of the Charente's premier growing areas.